In an ideal world, I'd wash my hair every day. I know, I know - all you ever hear is that washing your hair every day is bad, it's drying out your hair, and you shouldn't do it. But my hair gets greasy after about 8 hours, and by the second day, dryness is not my issue. Sometimes, though, washing my hair every day just isn't feasible. I talked about my morning routine here - it takes me a while, and can be tiring, and sometimes I just don't have that time in the morning. 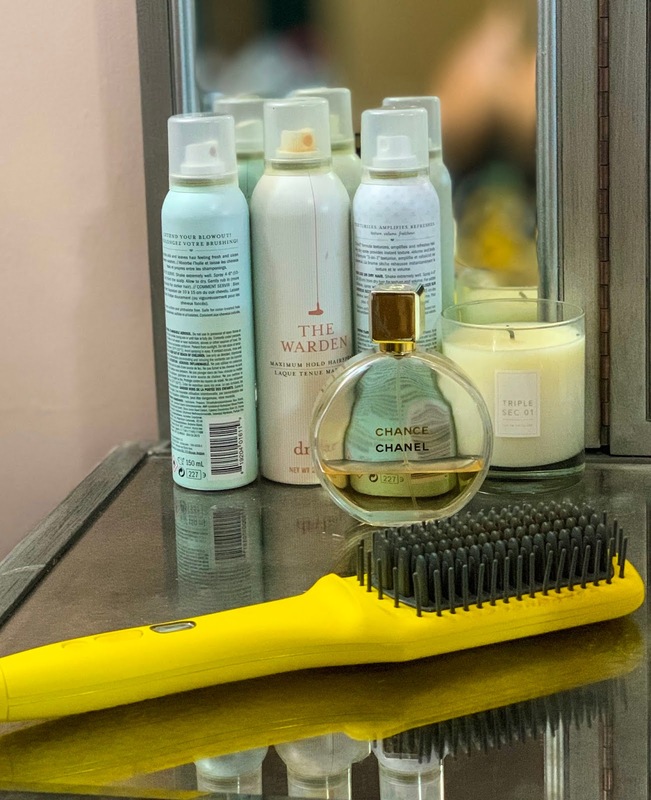 I definitely use lots of dry shampoo (my favorite by far is the Drybar Detox one), but that only helps with the oil control, but that doesn't help with how my hair actually looks. I use a breathing machine at night, so the "sleep on a silk pillowcase" advice is pretty useless to me. When I wake up, my hair is frizzy, and I have the dreaded "crease" from both my ponytail holder plus the straps from my breathing machine. Straightening it always works, but it takes away the body that my hair has - it leaves it super stick straight. 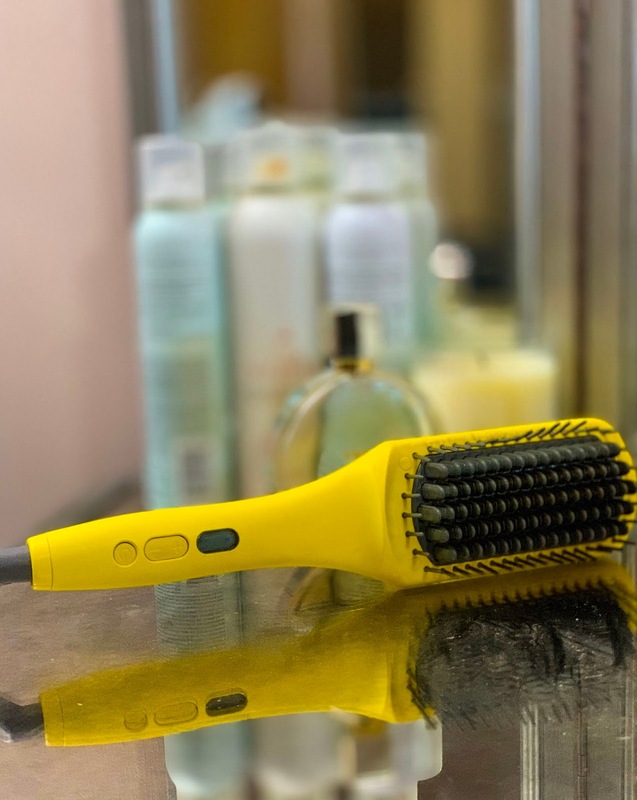 So I was intrigued when I saw Drybar announce their Brush Crush, which is a straightening brush. There's a "plate" on it like there is on a straightener, but there's only one, not two - and its underneath bristles like there are on a regular hairbrush. It works SO WELL. It keeps the body in my hair, but gets rid of the creases and the frizz so easily. You can also style your hair a bit with it - make the ends flip out or flip under, without getting the sharp line you can end up with when you use a straightener. And the best part? You can't burn yourself easily like you can with a straightener! My ears are so very grateful. If you're looking for something to make your day two (or day three or four - no judgment here!) hair look better, definitely go for the Brush Crush.